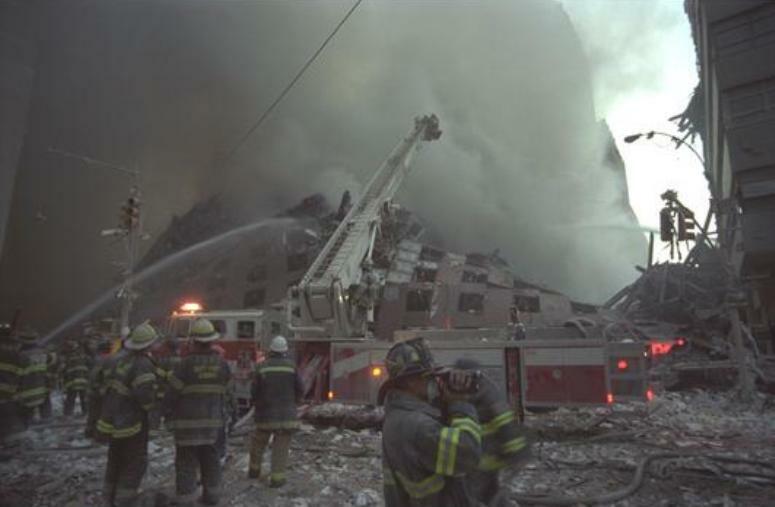 New York City Fire Department ladder truck 58 from the South Bronx pours water on a collapsed building in the World Trade Center complex Sept. 11, 2001. 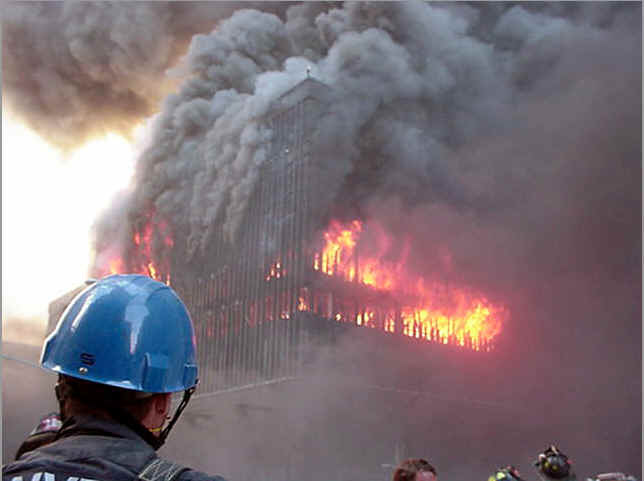 A firefighter in the foreground is videotaping the scene. 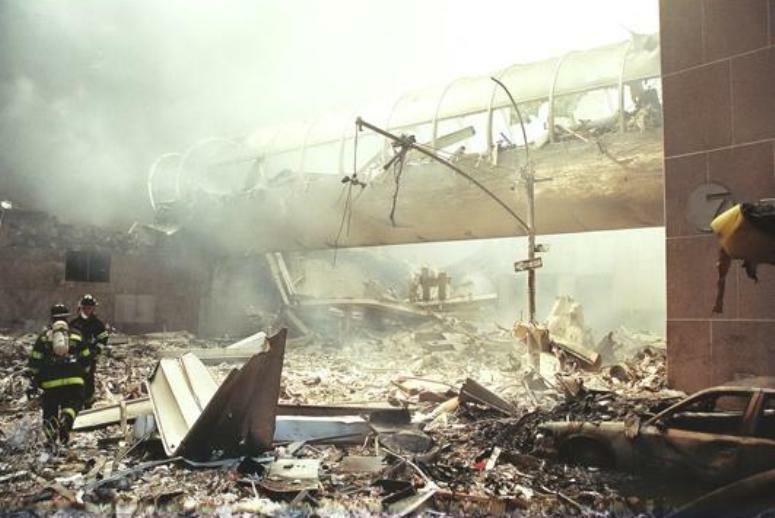 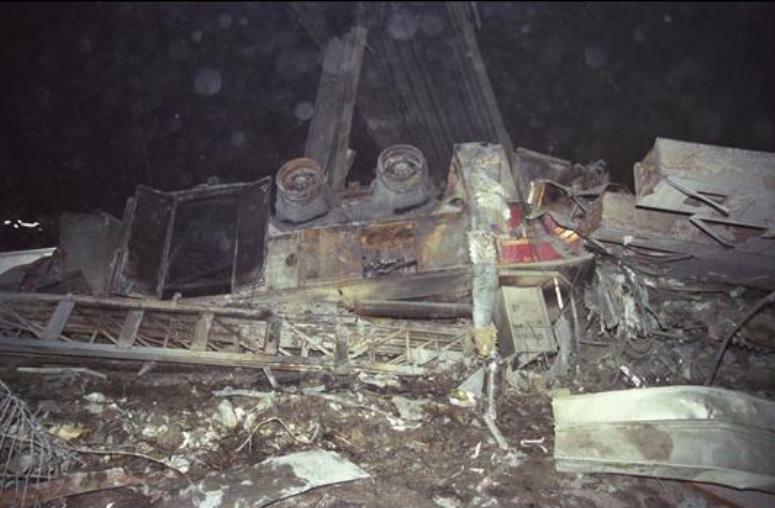 A New York City Fire Department ladder truck lays upside down, buried beneath collapsed steel and concrete of the World Trade Centers. 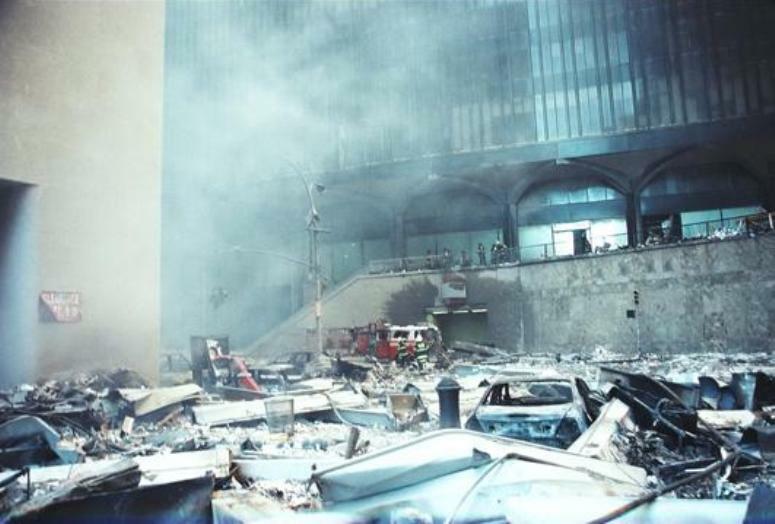 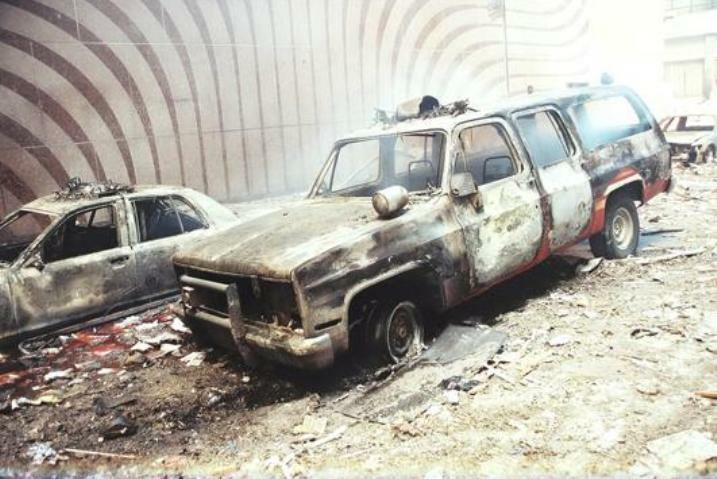 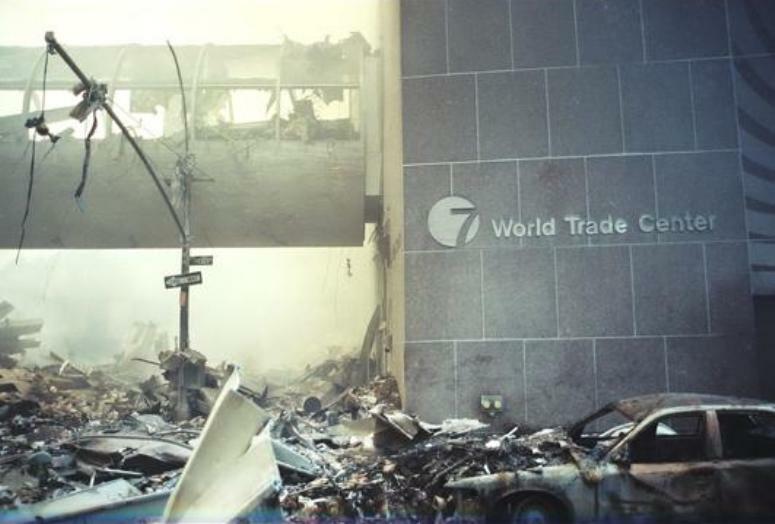 Two exposed wheels on the truck are missing their rubber tires, which presumably melted away in the heat of the fire after the towers collapsed.